From the outset Peter Bang and Svend Olufsen built audio products based on quality materials and new technology. The current Bang & Olufsen range fits confidently within that ethos. Whether a high fidelity speaker system for the living room or an entry point headphone, B&O consistently hits the sweet spot between form and function. The luxurious use of natural leather, aluminium, stainless steel and woven wool fabrics is complimented with a no-compromise approach to honest tuning, state of the art features and control. Within B&O there is an unbroken link with family members still enacting the company’s historic vision. An unbroken commitment to the “Dutch Hallmark of Quality”. The latest evolution of an iconic headphone crafted for ultimate comfort. An outstanding, compact headphone for the regular traveller. 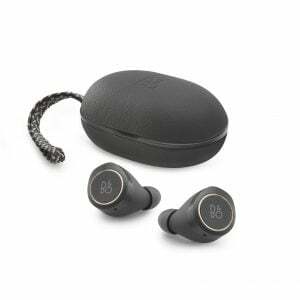 Hi-fi comes to the truly wireless earbud in this best in class product. A high-quality and ultra-light wired in-ear headphone. An in-ear headphone designed for listening on the move.. Authentic B&O, clean lines and honest materials combine in this Bluetooth beauty. This compact, on-ear travel headphone includes polished anodized aluminium structure, leather and lambskin headband and cushions and variable noise cancelling.